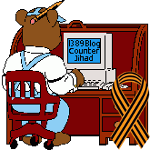 Muslims consider US aid to their countries to be tribute (jizya) that infidels owe Muslims — 1389 Blog - Counterjihad! Under Islam, non-Muslims including Christians must live in dhimmitude, as second-class citizens, being constantly and deliberately humiliated, and must pay a “jizya” tax to their Muslim “masters”. I never realized until now that they see the foreign aid the USA gives them (Egypt, Pakistan, etc.) as a form of that “jizya” or tribute which the conquered must pay to the conqueror. If this doesn’t bother you, it should. Obama says he cannot pay my salary or that of any other federal employee and that we will be furloughed for a given number of days this year under the sequester, but he just gave $250 million to the Muslim Brotherhood in Cairo with no strings attached. What euphemism would you prefer for what that amounts to? Jizya! So they will “leave us alone”, which, of course, is a farce as they will never “leave us alone” because Islam mandates hatred toward us “infidels” or “non-believers”. I think it’s time to go back and read the Book of Revelation again. And the rest of the Bible along with it. Question we should be asking ourselves: Does the adversary enjoy the sense that we are paying jizya? Related Topics: Dhimmitude, Egypt, US policy | Raymond Ibrahim This text may be reposted or forwarded so long as it is presented as an integral whole with complete and accurate information provided about its author, date, place of publication, and original URL. вот бы добится успеха, при этом ничего не умея делать?